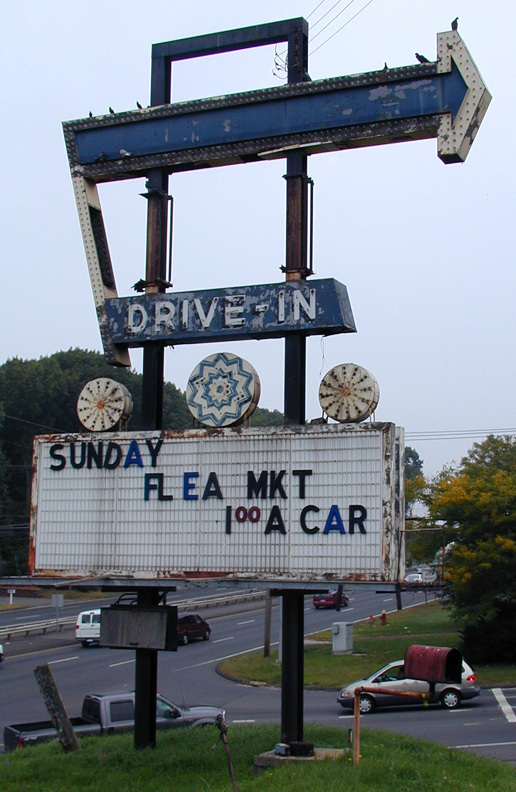 The Hartford Drive-in opened in 1947 and closed in 1996. It has been for sale since 1999. When this photo was taken in 2004, the site was used for a flea market. However, I believe the property was redeveloped in 2005 for housing. This sign was removed in 2008. For more, see this website.